If you are not able to make your appointment, please let us know as soon as possible. We have a 24-hour notice cancellation policy. Cancellations with less than 24 hours notice may be subject to a $100 ‘no-show’ fee for initial assessments and a $65 ‘no-show’ fee for follow-up appointments. How much does a visit to the Canadian Cannabis Clinics cost? There are no fees for clinic appointments. For Ontario and British Columbia residents, we offer Home Care, a convenient video call appointment service. For existing patients, there is no cost to renew their medical document through Home Care. For new patients, there is a one-time service fee of $19.99. Cannabis is considered to be a safe medication. Research shows cannabis has less addiction potential than caffeine, tobacco and alcohol. However, frequent or long-term cannabis abuse can lead to increased tolerance, dependence, and the potential of withdrawal during discontinuation of use. Young users and individuals with certain mental health diagnoses have been shown to be at higher risk for cannabis addiction. Do I have to smoke Medical Cannabis? Health Canada recommends that medical cannabis be consumed using a vapourizer, rather than smoked. Use of a vapourizer allows patients to inhale the active components of medical cannabis while avoiding byproducts of burning plant matter and associated carcinogens. Vapourizers work by heating the cannabis past the boiling point of the active compounds but below the point of plant matter combustion. Vapourizing cannabis is not only considered safer for lung health, but is also more cost efficient. What are the possible side effects of Medical Cannabis? Information on side effects for therapeutic use of cannabis is limited. Some known side effects include euphoria, intoxication-like effects, dizziness, drowsiness, impaired memory, disorientation, dry mouth, and rapid heartbeat. This is not a complete list. Please consult with the doctor regarding other possible side effects and what steps should be taken if you experience anything unexpected after using medical cannabis. Where do I get my authorized Medical Cannabis? Authorized patients who receive a medical document must register with, and order their cannabis from a licenced producer. Our counsellors will assist you in choosing the licensed producer that best suits your needs, as well as through the registration process. There is never any cannabis on site or for sale at Canadian Cannabis Clinics. The two main components of cannabis are: 9-Tetrahydrocannabinol (THC) and Cannabidiol (CBD). THC produces the most considerable psychoactive effects of cannabis. It also has analgesic, anti-nausea, appetite stimulant and anti-spastic effects. CBD does not create a euphoric high. It has neuroprotective, anti-inflammatory, anti-anxiety, anti-epileptic and anti-psychotic properties. Our patients are assessed individually by a knowledgeable health practitioner. If the health practitioner determines that the patient is a suitable candidate for medical cannabis they will be given a Medical Document. See our Patient section for more details. Medical Cannabis has been legal in Canada since 2001. On October 17, 2018 the Cannabis Act made accessing medical cannabis significantly easier for Canadians. Physicians, including psychiatrists (and nurse practitioners in some provinces) can now issue medical documents which authorize patients to purchase medical cannabis from licensed producers. This system is part of the current Cannabis Act. Email us at homecare@cannabisclinics.ca or call us at 1-888-900-4731 and we’ll help you reschedule your appointment. Appointments are accessible by smartphones, tablets and computers. You will need an internet connection and a valid email address in order to access your online appointment. To access the video call, you will either download the app on your phone or download the video call software onto your computer. This step is quick and easy! Not only will we send you an email with detailed instructions to follow prior to your appointment, one of our patient coordinators will call you 10 minutes before your appointment to ensure you are fully set up and everything is in working order. You don’t need to be tech-savvy as we will be there to assist you should you need it. As this is a video appointment, please ensure you have a webcam. (For current follow up patients, you have the option to have a phone consult if you do not have a camera. For new patients, you will need a webcam). Simply click here [hyperlink: https://app.cannabisclinics.ca/booking/] and follow the steps. 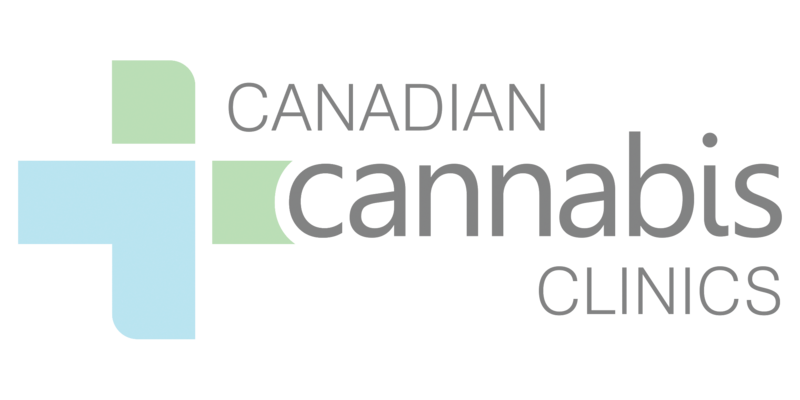 Please sign up using the form at the end of this page [hyperlink: https://www.cannabisclinics.ca/free-counselling/. Once you sign up, you will be directed into the booking page where you can follow the steps to complete your booking. Online counselling is for everyone; new patients that are curious about medical cannabis and for existing patients that still have questions after their appointment. Anyone in need of flexible appointment times, who have mobility issues or difficulty travelling to a clinic, may find Home Care to be an easier, more convenient and cost-efficient option. Additional benefits include no long travel times, no wait times and no parking fees! Existing patients have the option to have in-clinic counselling (between their appointments), if they wish. If they are not comfortable with using a computer/smartphone to speak with the counsellor or just would prefer an in-person experience, then a clinic visit may be better suited. Home Care is available for residents of Ontario and British Columbia. We are working hard to expand into other provinces. If you wish to be notified when it is available in your province, fill in the form at the end of this page [hyperlink https://www.cannabisclinics.ca/homecare/], selecting your province in the dropdown and we will contact you when it becomes available for you. New patients are required to complete our digital intake form, which requests details about your medical history and current medical condition. This form will be sent to you by email shortly after your appointment is scheduled. In addition, you will need to show a copy of your ID, a copy of your medication list as well as any supporting documents related to your medical condition. These documents will be requested and processed directly by the Home Care team as part of the registration process, after you have booked your appointment. We have an easy to use online feature to help you sign your documents online. You will have an online appointment with a health practitioner and a counsellor whom might differ from your current and/or previous doctor/counsellor. However, all your previous consult notes will be available to ensure you receive the same comprehensive and uninterrupted medical support. If you have a clinic appointment booked with us already, we will cancel this on your behalf. Simply proceed with booking a Home Care appointment as normal and let us do the rest. Click here [hyperlink: https://app.cannabisclinics.ca/booking/] and follow the steps. Please sign up using the form at the end of this page [hyperlink: https://www.cannabisclinics.ca/homecare/]. Once you sign up, you will be directed into the booking page where you can follow the steps to complete your booking. Please send all cancellations requests at least 24 hours before the date of your online appointment either by email at homecare@cannabisclinics.ca or call us on 1-888-900-4731. For existing Canadian Cannabis Clinic's patients, there is no cost for renewing your medical document through Home Care. For new patients, there is a small one-time service fee of $19.99. In the last stage of the booking process, you will be able to securely enter your card details. Simply click this link https://app.cannabisclinics.ca/booking/ and follow the steps. Please sign up using the form at the end of this page https://homecare.cannabisclinics.ca/new-patients-sign-up. Once you sign up, you will be directed into the booking page where you can follow the steps to complete your booking. You'll receive the same level of care as you would in person at a clinic. Patients in need of flexible appointment times, who have mobility issues or difficulty travelling to a clinic, may find Home Care to be an easier, more convenient and cost-efficient option. Additional benefits include no long travel times, no wait times and no parking fees! If you’re not comfortable with using a computer/smartphone to speak with your healthcare professional or just prefer an in-person experience then a clinic visit may better suit your needs.